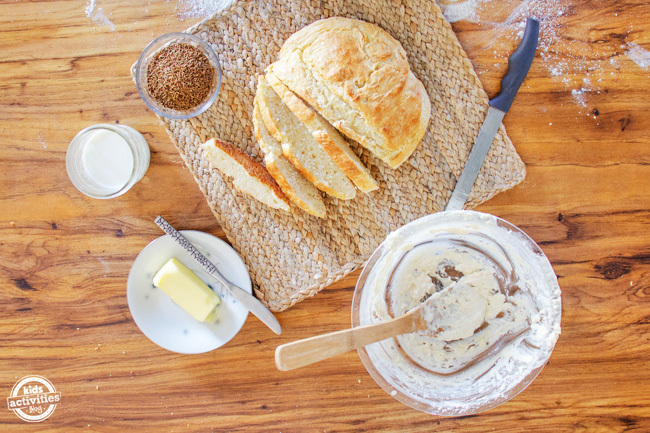 Traditional Irish Soda Bread slathered in real butter makes the perfect St. Patrick’s Day meal accompaniment. It comes together quickly and only four ingredients are needed! Related: Have you tried our St. Patrick’s Day Shake? It’s not so traditional, but it sure beats waiting in the drive thru for something similar. 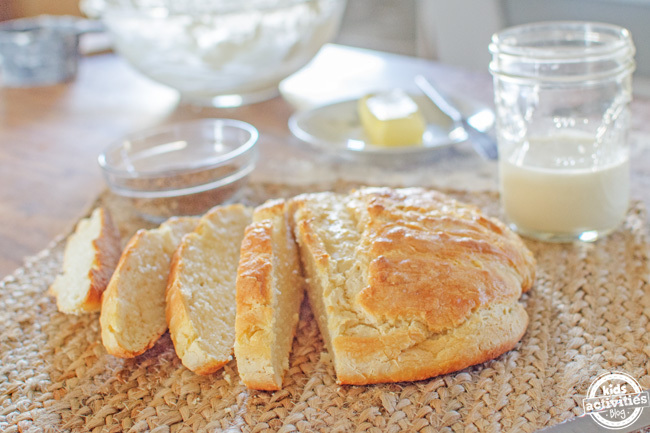 Really, our Irish soda bread recipe is yummy enough that it can be eaten any time of the year when you want homemade bread, but don’t have the time to wait for yeast dough to rise. 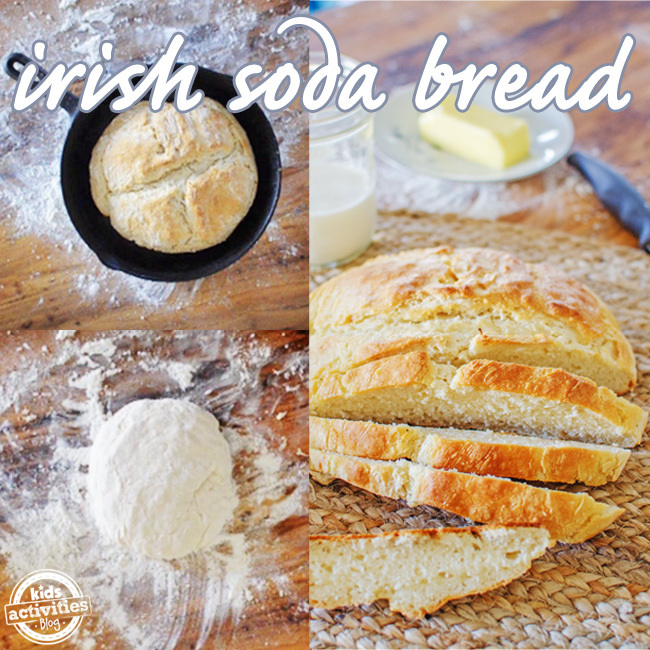 You’ll have warm bread in just 40 minutes from start to finish, because Irish soda bread uses baking soda (along with buttermilk) as a leavening agent. Many folks add caraway to their bread for added flavor, but you don’t have to. Make a well in center of mixture and add buttermilk. Using a spoon gently mix together until combined and a wet dough is formed. Turn out onto a well floured surface and very lightly knead in a small amount of flour just until it is no longer sticky and begins to form a ball. DO NOT OVER KNEAD or add too much flour, or else you will end up with a dry, hard bread. Gently place onto a greased baking sheet or cast iron skillet and cut about a one-inch cross or “x” into the top of the dough. You will know the Irish soda bread is done because it will make a hollow sound when lightly tapped. Slather outer top crust in melted butter and serve immediately. Keeps wrapped for a day or so. 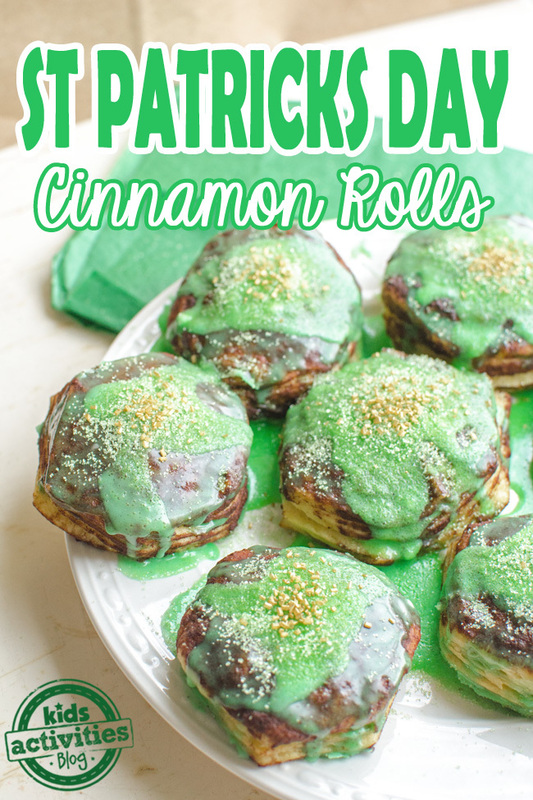 Satisfy your family’s cinnamon roll cravings with this festive recipe! Throw your own St. Patrick’s Day tea party. So fun! Make a healthy edible rainbow snack to go along with it. Also, be sure to try out these 25 Green Food Ideas: Treats for Kids and Adults. 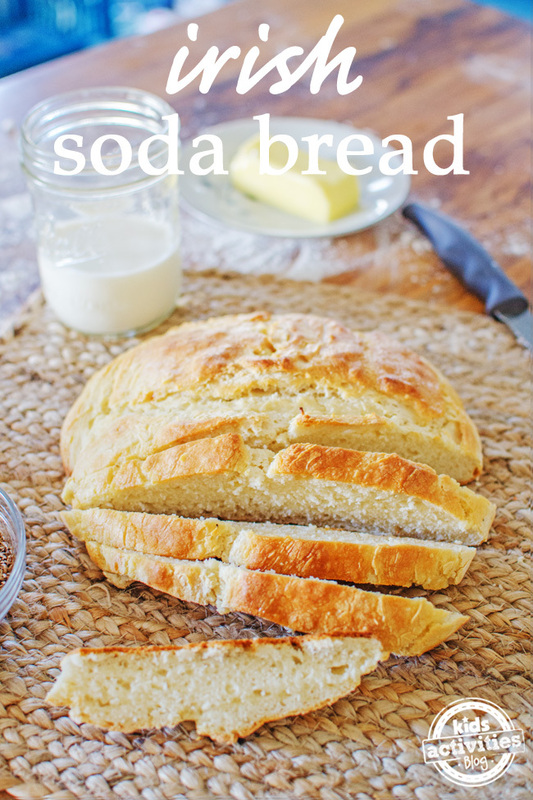 Leave a comment: What type of bread does your family love to eat/make the most?